Stores are starting to sell holiday decorations, which means that the 2019 will be here before we know it. 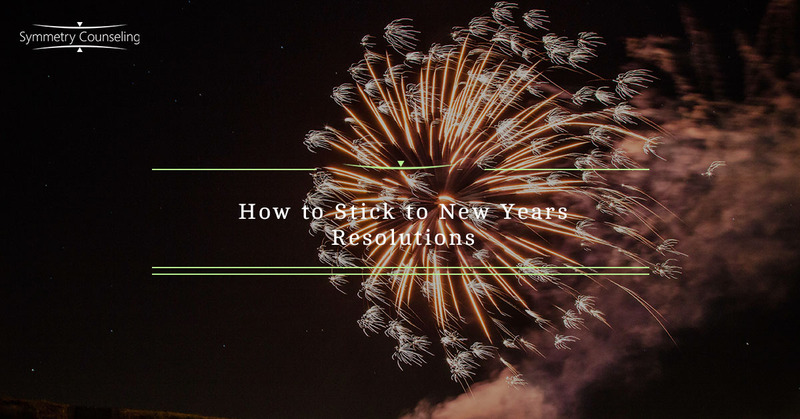 You might have thought of some resolutions for 2018, but honestly, how long did those resolutions last? I am assuming for a few weeks or maybe a month or two. You probably cannot recall what they are now. Well, 2019 is a new year and we can start again. But this time, instead of calling them “resolutions,” why don’t we call them “habits” and “lifestyle changes”? Changing the wording sometimes can be more motivating for us to stick to changes in our lives. You also do not have to wait until January 1 of each year to start new changes — start now! Be specific! Your new habit or lifestyle change should be as specific as you can get it. Instead of saying, “I want to lose 20 pounds by the end of the year,” have a better plan for it. How many pounds can you lose a month? A week? What are your eating habits going to look like? Are there any foods that you are going to cut out? Are you going to meal plan? How many times can you go out to eat? What type of workout classes are you going to go to? Are you going to work out alone or join a group? Are you going to a gym or working out at home? How many times a week are you going to work out? For how long? Measurable goals. Be able to actually see a trend and progression in what your habit is going to be. Yes, there sometimes will be setbacks and weeks that will not go as planned, but be sure that you are being kind to yourself. Get a journal and write down your beginning goal and then log what is happening weekly. Achievable. Set goals that are realistic for you. For example, with the weight, let’s say you want to lose more than 20 pounds, but you know that cannot accomplish that a period that you have stated. Start smaller. It is always better to start smaller and be happy with the goals you have achieved and then continue making bigger goals. Relevant goals. What actually matters to YOU. Do not copy what others are saying or doing if you feel like it actually does not impact your life. For example, let’s say that your friend wants to lose weight, but you are comfortable with your weight; do not set a goal to lose weight just to help them. Your goal could be to eat healthier which is better focused and geared to your lifestyle. Be true to yourself. Time limits. Set yourself time limits. Pick times that work best for you. Do not look at the big goal, but instead celebrate the smaller, attainable and achievable goals. Be proud of yourself for obtaining goals and immediate habits. Once again, look at this as habits or lifestyle changes, not as resolutions. Start small and work your way into bigger habits and make sure to celebrate the smaller obtainable goals that you have achieved. Do contact any of our trained therapists if you feel like you are struggling with setting goals and sticking them. Psychotherapists at Symmetry Counseling are willing to help you! Do not wait until the new year to get help — start now!